Make images to be viewed with 3D glasses. Is there a better alternative to 3D Maker? Is 3D Maker really the best app in Image Editing category? 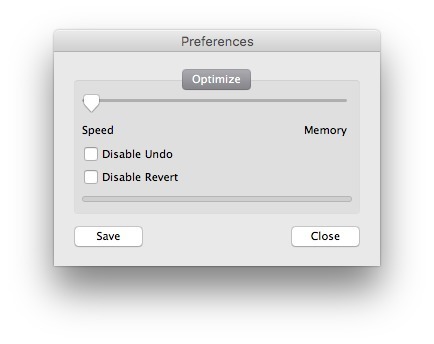 Will 3D Maker work good on macOS 10.13.4? 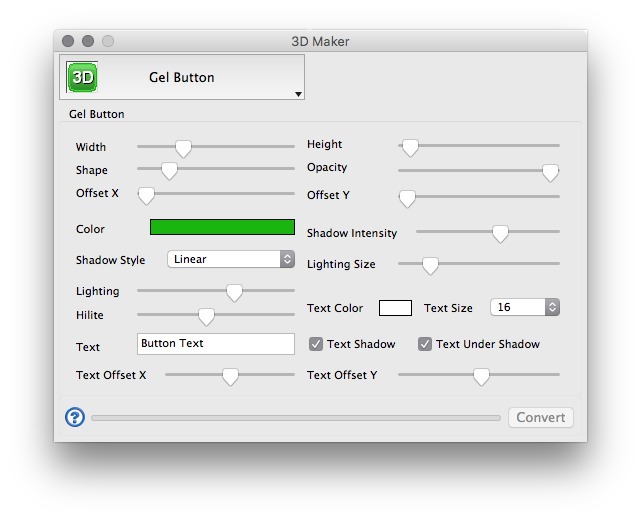 3D Maker allows you to take a picture and apply one of many 3D filters to it. These filters include drop-shadows, an emboss filter, multiple anaglyph (3D glasses) filters and the ability to create stereograms. Anaglyphs can be made from one picture or two. 3D Maker can also be used to create 3D shapes from pictures. These shapes can then be rotated, scaled and positioned as needed. These shapes include spheres, a cube, cone, and flag. 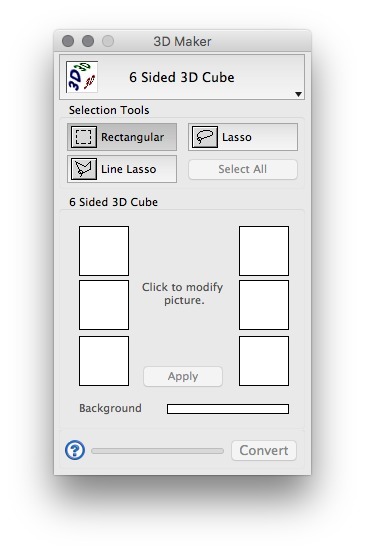 Also includes the ability to extrude specific parts of a picture. 3D Maker needs a rating. Be the first to rate this app and get the discussion started! 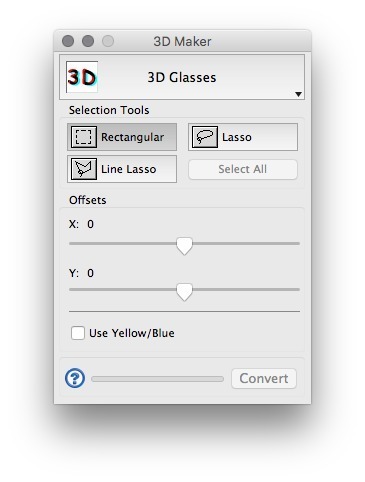 3D Maker can also be used to modify 3DMFs. You can pull out, swap or replace the different colors and textures found in 3DMFs. 3D Maker can add 3D text to an image. 3D Maker can also be used to manipulate your pictures with other filters as well. 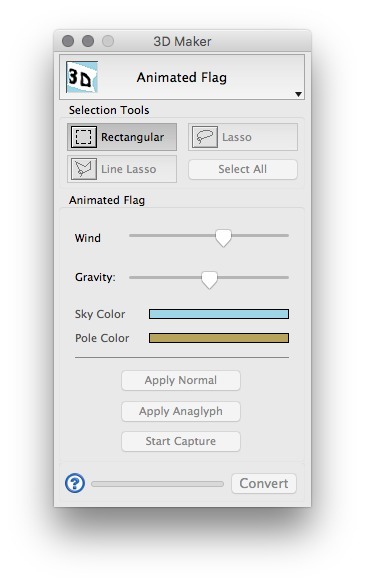 Some of these additional filters are: Blur, Sharpen, Mosaic, Neon Edges, Diffuse, Gradients, Rotations, Sizing and more.